Most of our patients opt for cosmetic dental procedures as a way to repair smile defects and improve their overall appearance. When performing cosmetic dentistry procedures, the ultimate goal of Drs. Lewis and David Morrison is to restore a patient’s unique smile through correcting misshapen, discolored, chipped, poorly spaced, or missing teeth, as well as changing the overall shape and size of the teeth. 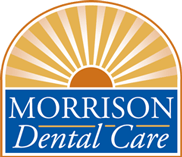 Morrison Dental Care involves the patients in 100% of the process and guarantees the results of their work. If a patient is not satisfied, they will remake the work to make sure the patient is happy. Drs. Lewis and David Morrison have been experts in cosmetic dentistry since 1973 and have continued to provide the Clifton Park community with quality, virtually painless, and patient-centered cosmetic dental treatments. Many people avoid cosmetic dental procedures because they assume they are too expensive, however Morrison Dental Care offers a wide range of affordable treatment options in aesthetic dentistry to help patients improve their smiles. Veneers are thin, porcelain shells adhered to the tooth’s surface in order to correct unevenly spaced, crooked, chipped, oddly shaped, or discolored teeth. Each veneer is custom-made to have a natural, translucent appearance while also maintaining a durable composition that can withstand everyday wear and tear. Veneers are a popular choice for individuals who are looking for a conservative approach to achieve a dazzling smile. Teeth whitening procedures bleach the teeth and remove external and internal stains, resulting in teeth that are several shades whiter. This procedure has been dubbed one of the safest procedures available by the American Dental Association (ADA) and does not damage the tooth’s enamel in any way. Morrison Dental Care offers our patients both one-visit in-office whitening and at-home whitening using trays and professional-strength whitening gel. Gum contouring, or gum reshaping, works to improve the symmetry of your gum line. Gum lines that extend too far on the teeth or that are uneven can negatively affect the aesthetics of your smile, making your teeth look either too short or crooked. Uneven gum lines can even make certain teeth look longer than the others. Morrison Dental Care uses cosmetic contouring to correct “gummy smiles” and to straighten crooked, chipped, cracked, or overlapping teeth, giving your smile an overall more even appearance. Dental bonding is a non-invasive, cosmetic procedure that adheres tooth-colored resin to your teeth in order to close gaps, correct chipped teeth or change/improve tooth color. It is one of the fastest and easiest ways to improve your smile without undergoing more invasive procedures. Dental bonding is highly affordable and can usually be completed within a single office visit. We can use almost any combination of cosmetic procedures to remake your smile into something you can really be proud to show off. Due to the ageing process, the upper lip loses elasticity and exposes fewer or no teeth. This can give your face an “aged” appearance. Dr. Morrison will evaluate this process and offer possible solutions to restore your “youthful smile”. Morrison Dental Care can help you achieve your smile makeover with our wide range of cosmetic services that will fit your every need. Drs. Lewis and David Morrison cater to the communities of Clifton Park, Halfmoon, Saratoga Springs, Troy, Waterford, and Mechanicville. Learn more about your smile-enhancing options by calling (518)371-3400 or use our online Request an Appointment form!